C.Taste offers a modern setting for lunch or dinner, with a buffet featuring a wide range of international and Arabic dishes and live cooking stations where you can watch the chefs in action preparing your chosen dish. If you’re looking for somewhere to go on the weekend, C.Taste is open for Friday brunch too. Highlights Break your fast with an Arabic, Asian and continental Iftar buffet at C. Taste in Centro Barsha starting from AED 69 – Includes unlimited drinks! Choose from the options below: Option … see more.. 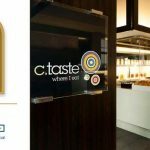 Highlights Make the love day memorable at C.Taste, Centro Barsha. 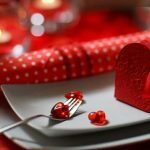 Romantic dinner buffet with drinks from AED 189 per couple Choose from the options below: Option 1: Romantic dinner buffet + Unlimited soft beverages … see more.. Highlights Don’t miss out the delectable spread of dishes over the New Year’s Eve buffet at C.Taste Restaurant in Centro Barsha for AED 119 Deal inclusions: – A tasty mix of international cuisines … see more.. Highlights Have a soul-satisfying dinner with Theme night buffet at Centro Barsha from only AED 49. Themes include Indian, Italian, Arabic and more! Choose your option: Option 1: Theme night buffet at C.taste … see more.. Highlights Choose your package: Option 1: Suhour buffet for 1 person for AED 49 Option 2: Suhour buffet for 2 people for AED 99 Option 3: Suhour buffet for 4 people for AED 199 Buffet includes: – Arabic, Indian … see more.. Highlights Click on the Buy Now button to choose your package: Option 1: Iftar buffet for 1 person for AED 75 Option 2: Iftar buffet for 2 people for AED 139 Option 3: Iftar buffet … see more.. Highlights Breakfast includes: – Cold cuts – Cheese selection – Bakery section – Hot food – Egg station – Pancakes and waffles – Juices, water, tea and coffee Free parking Location : Road … see more.. Highlights Choose your package: Option 1: Easter brunch buffet with unlimited soft beverages for AED 89 Option 2: Easter brunch buffet with unlimited house beverages for AED 169 Brunch buffet includes: – Live cooking … see more..